When you look out over a city, taking in the hills and valleys of the land, the uneven roofs and the way the light breaks through the cracks, or cascades over the highest building, you’re able to drink in the city in a way that wandering the streets can never offer. It’s the veneer of the city, the snow globe version, and it feels like you’re holding it right in your hand. It’s magical. 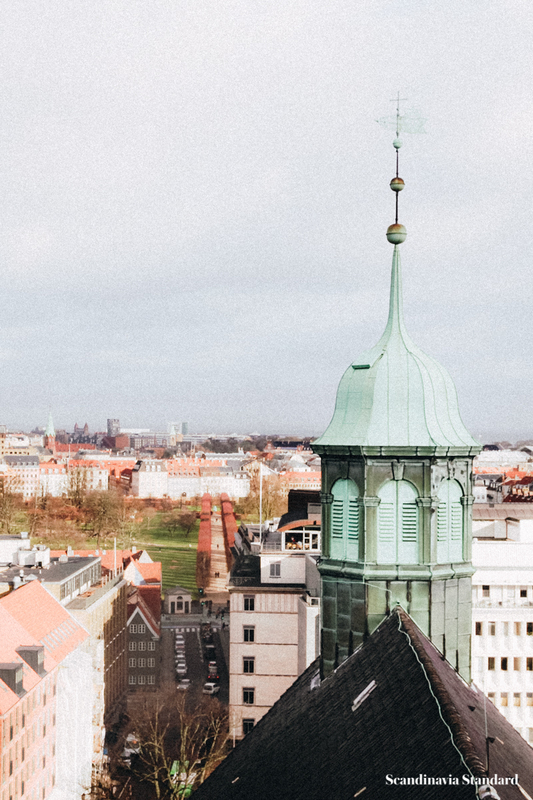 In Copenhagen, the low skyline is thanks to centuries-old fire regulations (the city has burned down twice, in 1728 and 1795). 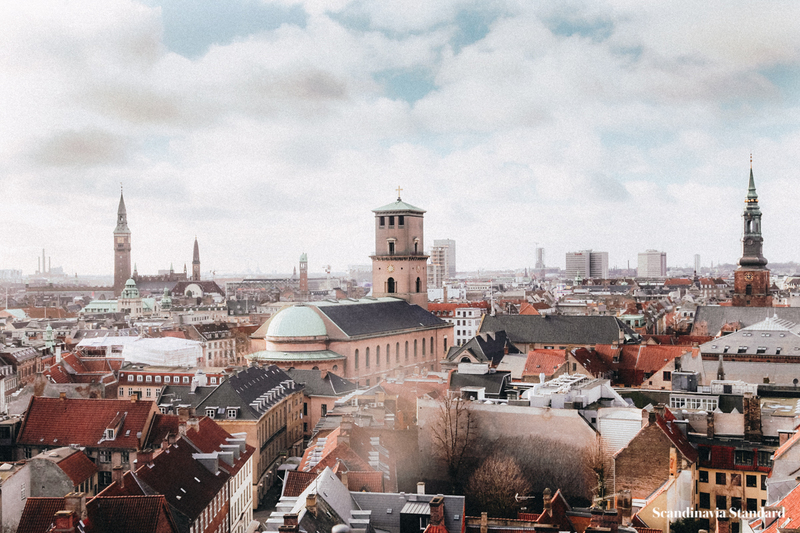 The roofs are red and there are jewels woven into the fabric; the gold and green dome of Mamor Kirken, the twisted alligator spire of the old stock exchange. 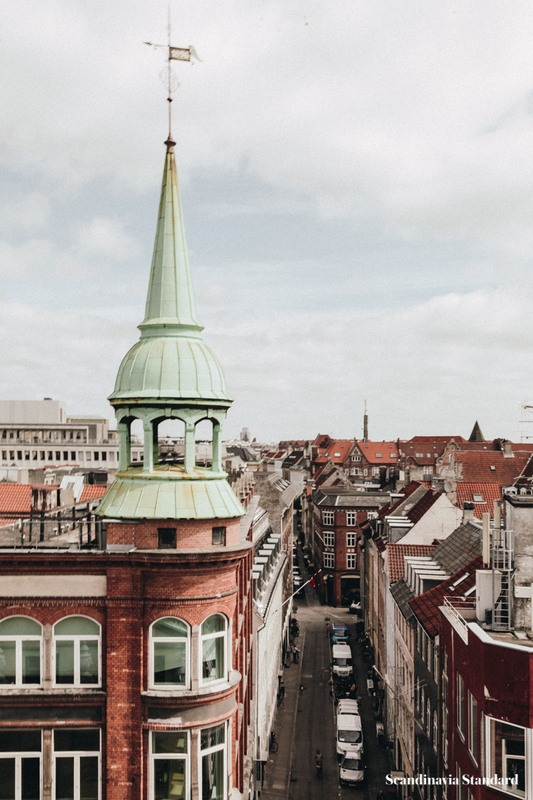 Copenhagen is full of the very old and the brutally new. While we encourage you to spend lots of time on the ground, you’ll also want to do some walking heaven-wards to get a change of perspective. 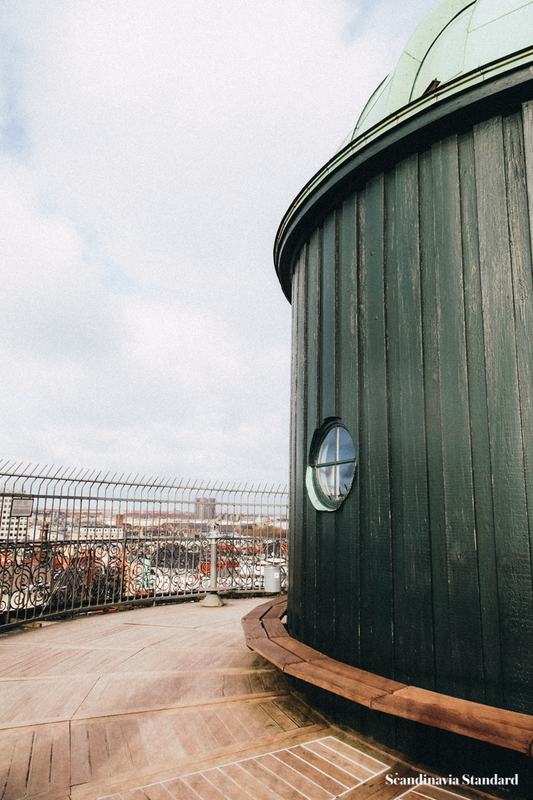 The classic spot to look out over Copenhagen. Walk to the top of this tower built in 1642 via the paved equestrian path. The view from the observatory is 360 degrees and is outdoors, so it can get windy and cold. 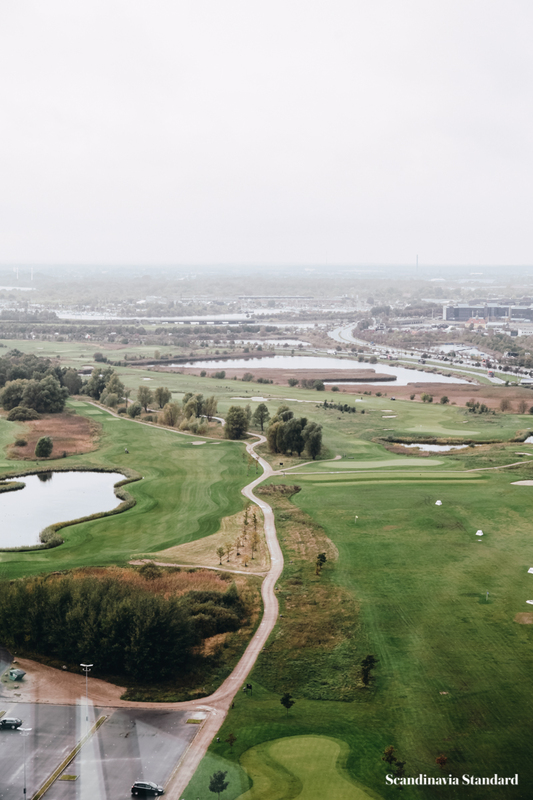 But no matter the time of year, this is a view you won’t want to miss. 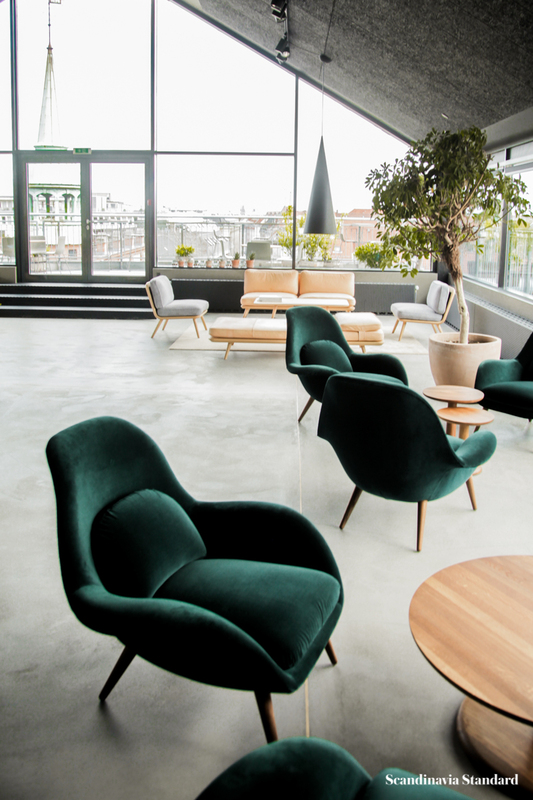 If you’re into classic Danish design, the showroom itself is a must-see. But the view from the terrace is really something special, and enjoying it whilst surrounded by some of the best design in the world is surreal. The showroom is open to the public and entrance is free. 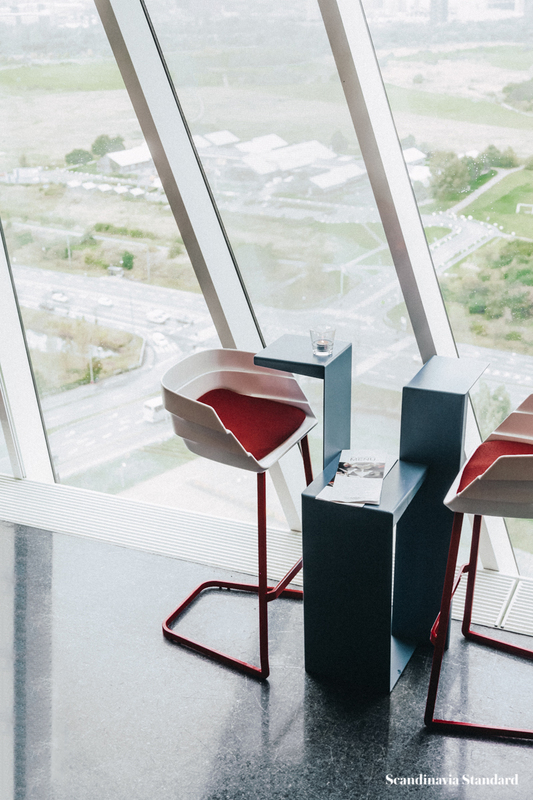 Even if you’re not staying at the Bella Sky, you can check out the view from Sky Bar while you sip on a cocktail or glass of something tasty. 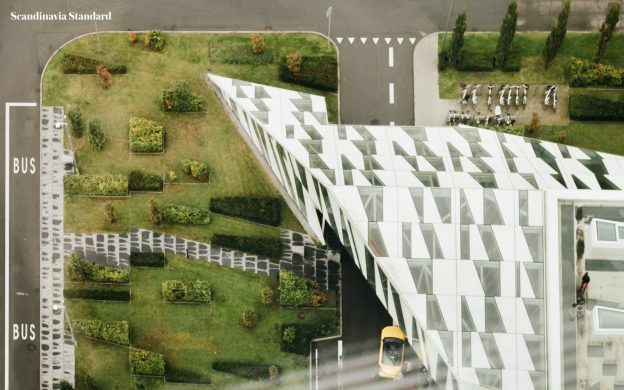 Because the hotel is situated on Amager, you get a very different view from the one you’ll get from the centre of the city. Bella Sky is right on the metro (at the stop called Bella Center) so it’s easy to get to! If you’re afraid of heights, this is probably not the viewing spot for you. The helix spire, called Thurah’s Corkscrew, that tops the church has an external staircase so the last 150 steps are actually outside. 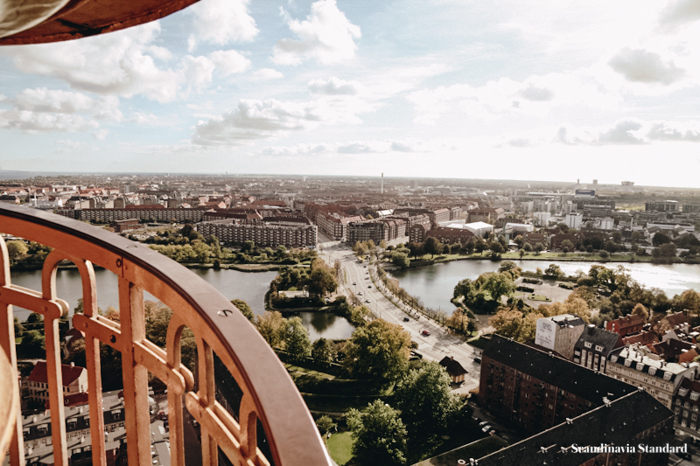 If you can stomach it, it’s quite a view, overlooking Christianshavn and central Copenhagen. Interesting fact: the spire runs counter-clockwise, which is quite unconventional. 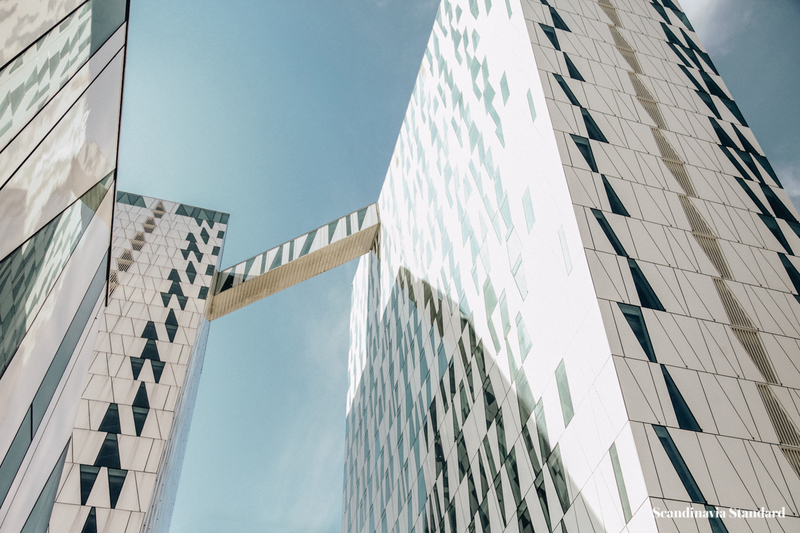 The Black Diamond, the waterfront location of the Royal Danish Library, is a worthwhile visit for the architecture alone. The old section of the library, built in 1906, was combined with the new building and facade in 1999. 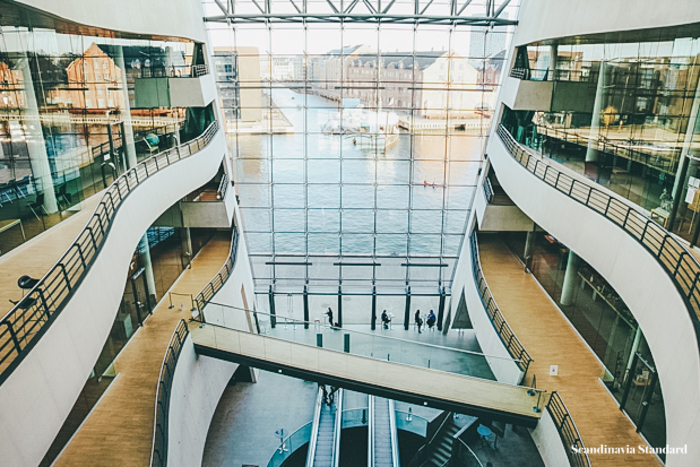 There are a host of excellent views – check out the water and architecture blend when you go from floor A up the walkway to floor C – so make your way around the reading rooms and galleries for a look at the city, the water, and the way the light plays off of this incredible building. We’ve put these two views together because, although they are separate buildings, they’re situated around the same square and so the view is very similar. Illum is a department store with a range of clothes and interior products; their rooftop has a number of restaurants and bars, including the excellent pizzeria Rossopomodoro. 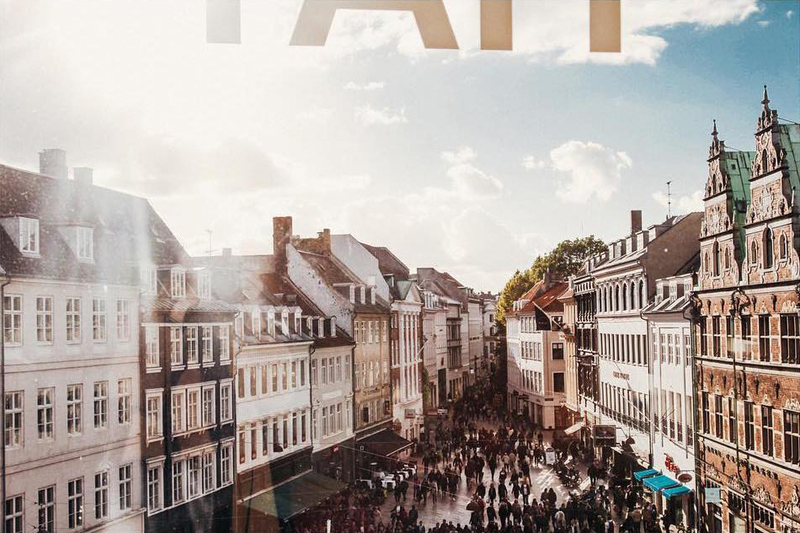 HAY House is the flagship store for the Danish design brand HAY. If you’re looking for a view plus a gorgeous interior, this is the spot for you. November 19, 2017 by Rebecca Thandi Norman.